The 12th October 2012 episode of Friday Night SmackDown! starts with Booker T’s music hitting and him making his way out to the stage, where he says that the World Heavyweight Championship will be on the line at Hell In A Cell in a match between Sheamus and The Big Show. He says that there is a buzz going around the WWE Universe as to which move is the more powerful, either the Brogue Kick or the K.O Punch, as he says that we will find out, introducing The Big Show and then Sheamus after a video recapping the events of Monday Night Raw involving Sheamus and Show (click here for our Raw report). Using a machine to measure which move is more powerful, Sheamus is the first one to take his turn. Sheamus’ Brogue Kick result is 1322lbs per square inch, but when Show takes his turn with the K.O Punch (formerly known as the Weapon of Mass Destruction), his result is higher at 1809lbs per square inch, making him the winner. Show tells Sheamus that he’ll see him at Hell In A Cell, but when asked by Booker T about his thoughts, Sheamus says that the result was impressive, but that Show hit a machine that was standing still. Sheamus is then attacked from behind by Tensai, and Booker ends up making a match between the two. The match sees Sheamus get the victory, when he hits Tensai with the Brogue Kick for the 3-count. After a WWE.com video recapping Alberto Del Rio’s attack on Randy Orton two weeks ago, an interaction backstage involving Ricardo Rodriguez and Alberto Del Rio, an interaction involving Ricardo Rodriguez and Santino Marella, and a video recapping Heath Slater, Jinder Mahal, and Drew McIntyre’s attack on Santino Marella and Zack Ryder on Raw, Heath Slater and Jinder Mahal (accompanied by Drew McIntyre) take on Santino Marella and “Long Island Iced Z” Zack Ryder in a Tag Team match. Before the match takes place however, Slater, Mahal, and McIntyre say that what happened on Raw was more than a simple beat-down but was more like beautiful music. As solo acts, their careers were out of tune, but now they are united and a band. The match sees Slater get the victory for his team, when he hits Ryder with a snapmare-facebuster for the 3-count. Afterwards, Slater, Mahal, and McIntyre celebrate by playing air guitar in the ring. After a video recapping the match between the team of Kane and Daniel Bryan and the team of Alberto Del Rio and Dolph Ziggler on Raw, and a Tout of Ziggler challenging Kane to a match, Dolph Ziggler (accompanied by Vickie Guerrero) is pitted against Kane in a match which sees Kane get the victory as a result of a disqualification, when Ziggler hits Kane with the Money In The Bank briefcase in view of the referee. Afterwards, Ziggler looks to hit Kane with the briefcase again, but Kane knocks him down with a throat thrust, and Daniel Bryan enters the ring too. An argument erupts between Bryan and Kane as Kane says that he had Ziggler, but Bryan claims that he was helping Kane, but both men are interrupted by Matt Striker attempting to interview them in the ring. When asked if it is this bickering that may cost them their Tag Team Championship at Hell In A Cell, and how Bryan responds that he may be the weak link in the team, Striker ends up being put in the No Lock by Bryan, until he forces Bryan to let go by grabbing his beard. Kane helps Striker up, but then grabs him by the throat as Bryan attempts to dissuade Kane from chokeslamming Striker, to no avail as Kane chants “Yes” with the crowd and hits Striker with a chokeslam. After an interaction backstage involving Ricardo Rodriguez and Hornswoggle in which Rodriguez is looking for Randy Orton, and a video recapping the events of Raw involving The Miz, Larry King, and Kofi Kingston, The Miz joins commentary as Kofi Kingston goes against The Big Show in a match which sees Show get the victory, when he hits Kingston with the K.O Punch for the 3-count. Afterwards, The Miz enters the ring with a microphone to taunt Kingston, as he suggests that it is appropriate as Kingston always lies flat on his back, beaten again. He says that is the story of Kingston’s life, that he always comes so close, only to come up short. The Miz says that Kingston will have to excuse him, as he is going to leave with his head held high, with the Intercontinental Championship on his shoulder, just like it will be on Main Event when he beats Kingston, because he is The Miz and he is awesome. 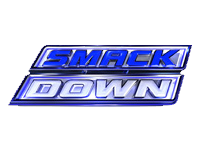 After an interaction backstage involving Daniel Bryan, Alberto Del Rio, and Ricardo Rodriguez, and an interaction elsewhere backstage involving Layla, Booker T, Teddy Long, Kaitlyn, and Eve Torres, Damien Sandow (accompanied by Cody Rhodes) takes on Sin Cara in a match which sees Cara get the victory, when he takes advantage of Sandow’s arguing with the referee, and hits Sandow with a hurricanrana-pin for the 3-count. After an interaction backstage involving Kane and Daniel Bryan, Alberto Del Rio is pitted against Daniel Bryan in a match which sees Del Rio get the victory, when he puts Bryan in the cross-armbreaker, forcing him to tap out. Afterwards, Del Rio says that he heard the rumours and talking and says that social media was fooling everyone because Orton isn’t going to show up, as he then shows footage of his attack on Orton two weeks ago and Orton’s match with The Big Show on Main Event as proof of this. Alberto Del Rio says that Randy Orton made the right decision in hiding in the shadows like a little girl, because if Orton was here, he would give him a piece of his own medicine. He starts to mock Orton, but when he mocks Orton’s coiling to the mat, he ends up face-to-face with Orton himself. Orton grabs Del Rio before he can escape, and imitates Del Rio’s attack on him two weeks ago, but interference from Rodriguez allows Del Rio to then escape. Orton takes out his frustration on Rodriguez instead, hitting him with an RKO on top of the announcers’ table, while Del Rio looks on from the stage, as SmackDown! goes off the air.